Get a large piece of aluminum foil and coat it with a tablespoon of butter. Sprinkle garlic powder, pepper, salt and Italian seasoning over it. 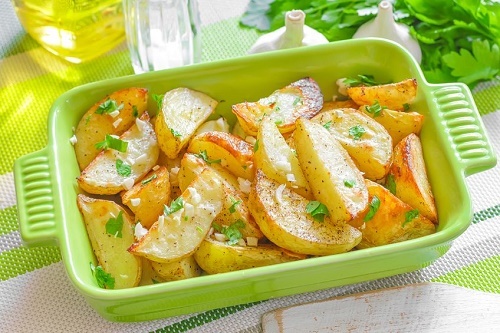 Place a medium-sized potato on the foil and tightly wrap the foil over the potato. An hour on the grill should turn the potato soft and allow it to absorb the flavor of the butter and the seasoning.